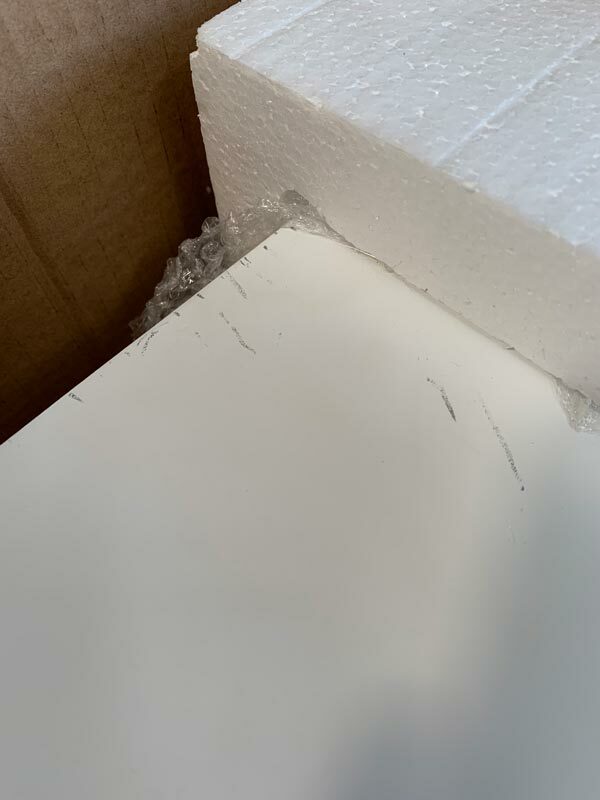 Chest of drawers in white satin finish. Elegant French shabby chic style. 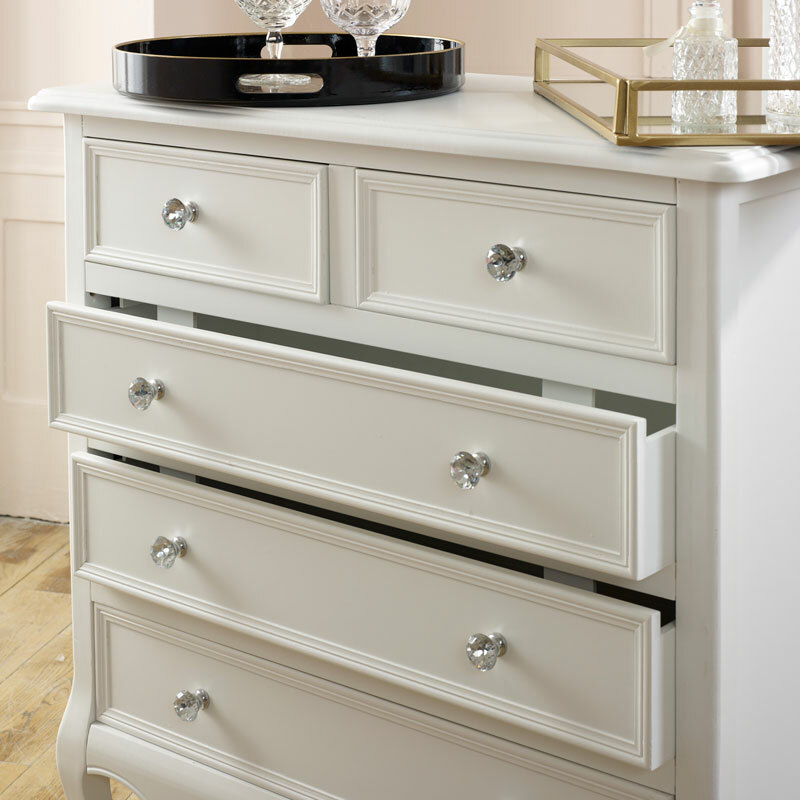 The dresser comes fully assembled with matching furniture available in the Victoria Range. Luxurious, glam style with elegant crystal handles and carved features on the chest front. This beautiful range includes dressing tables, bedsides and a selection of chest of drawers in great size options. Offering excellent style and storage for that dream bedroom. Take a peek at the other pieces in our Victoria Range. 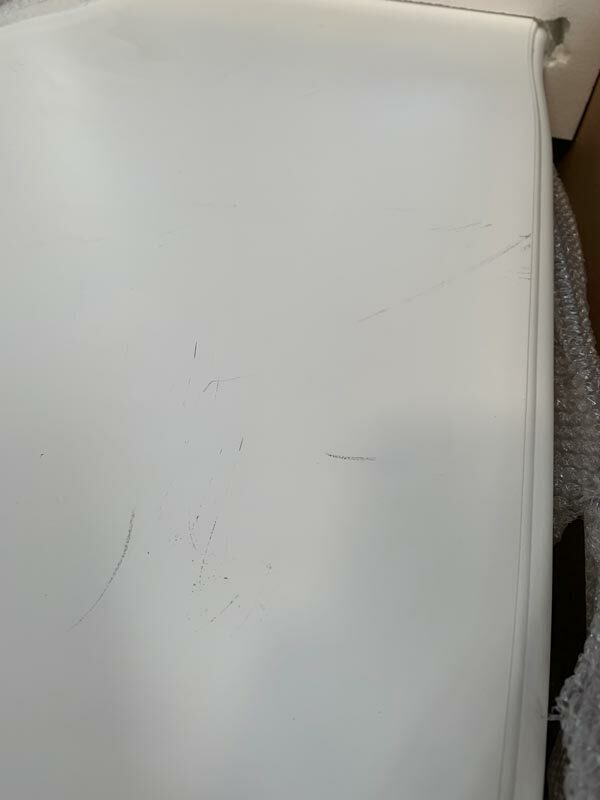 Chest of drawers in white satin finish. Elegant French shabby chic style. 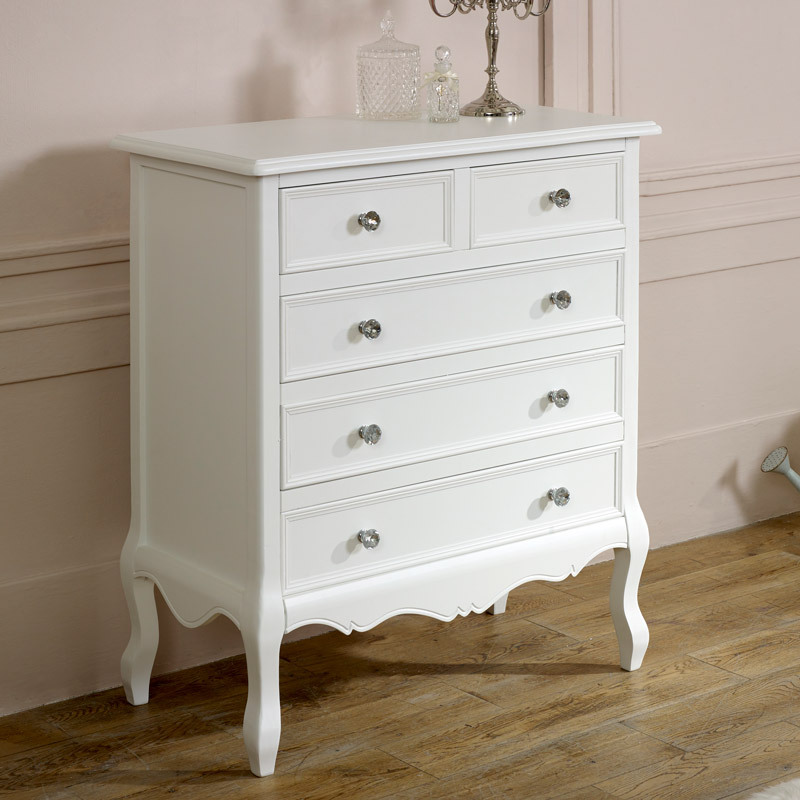 The dresser comes fully assembled with matching furniture available in the Victoria Range. Luxurious, glam style with elegant crystal handles and carved features on the chest front. 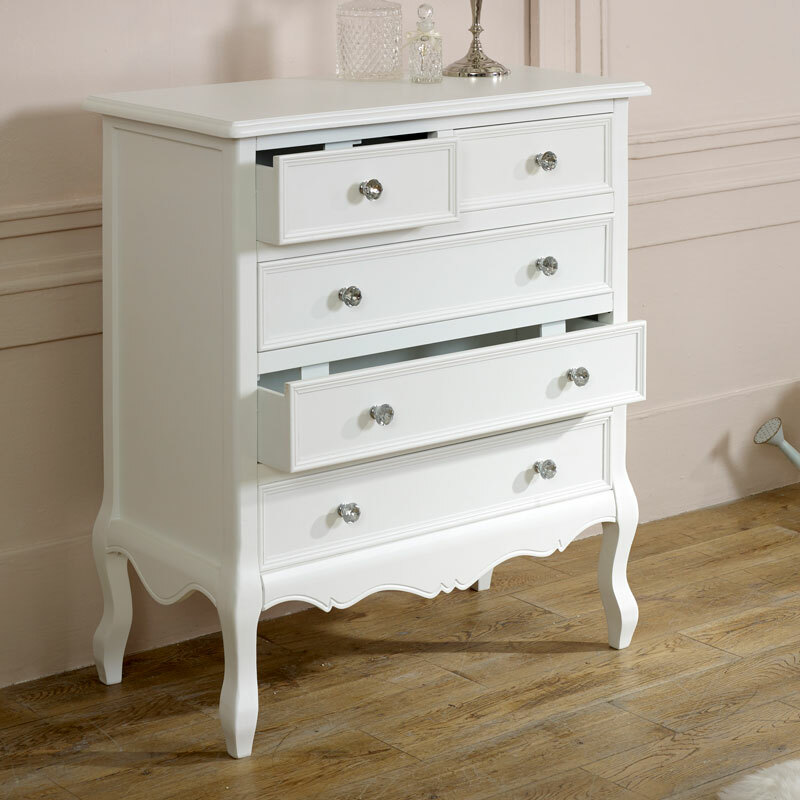 This beautiful range includes dressing tables, bedsides and a selection of chest of drawers in great size options. Offering excellent style and storage for that dream bedroom. Take a peek at the other pieces in our Victoria Range. Made from wood and painted in a white satin finish. The chest of drawers comes fully assembled and ready for use.